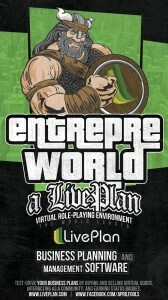 The world leader in business planning and management software has created an online, virtual role-playing environment for entrepreneurs to test-drive their business plans by buying and selling virtual goods, interacting as a community, and earning status badges. Eugene, OR — Palo Alto Software is excited to announce the upcoming launch of the first interactive, virtual world populated wholly by entrepreneurs. 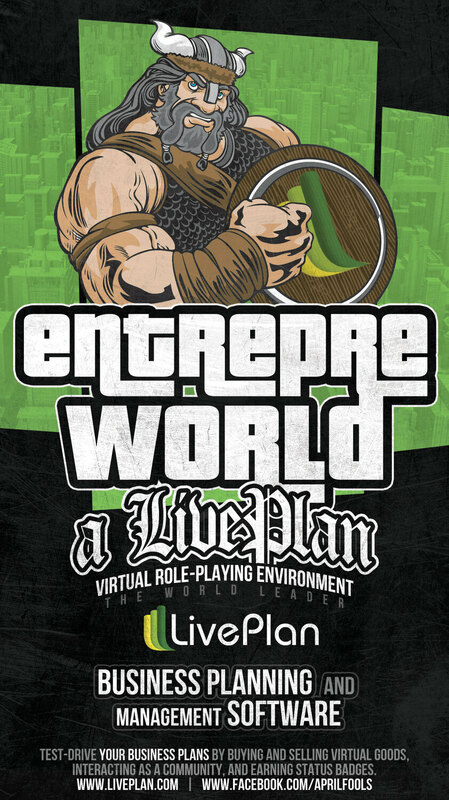 EntrepreWorld, a LivePlan virtual role-playing environment, will allow LivePlan subscribers to put their business plans to the test in a virtual world of avatars, small and mid-size businesses, and community socialization spots. Users are tasked with pitching to virtual investors within the world. Once funded with EntrepreBucks, they are then able to build their virtual business in line with their business plan. Other users may then patronize the small business in order to test its viability, purchasing virtual bagels from virtual bakeries, getting virtual tattoos, and having their virtual taxes done by virtual accounting firms. Users earn merit badges to display on the walls of their virtual establishments. For example, the “My First Dollar” merit badge is among the first earned and displayed.